Representation of the Bennu (1878) – Original source: Ebers, Georg. “Egypt: Descriptive, Historical, and Picturesque.” Volume 1. Cassell & Company, Limited: New York, 1878. p 187. There’s an Egyptian deity associated with creation and rebirth, Bennu. Bennu was often portrayed in the guise of a heron, or possibly a wagtail, and played an important role in the ancient Egyptian creation myth as well as being a focal point for sun worship at Heliopolis. Moritz Grossmann, a German watchmaker, even named a watch after it, although they dropped a consonant and called it the Benu. The Bennu may even have been the source of the later phoenix stories made popular in Greek mythology. Which brings me, in a very roundabout way, to Craig and Rebecca Struthers. 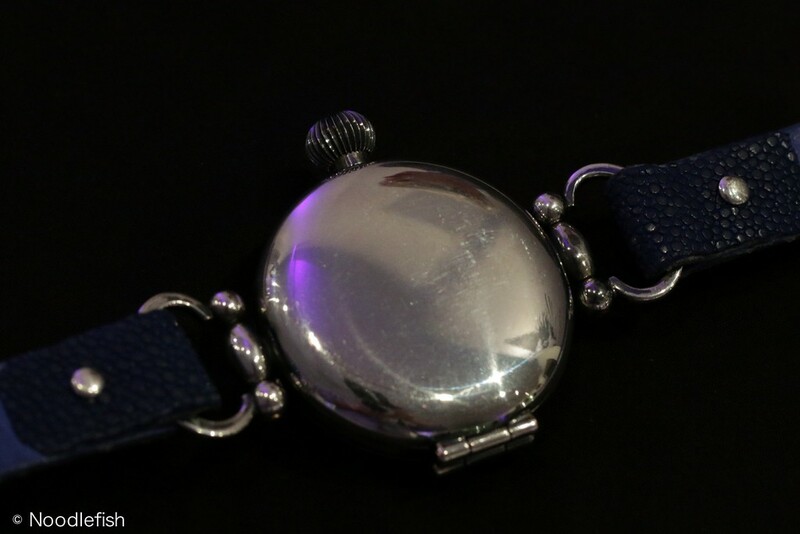 The Struthers set up their eponymous brand Struthers London in 2013, during which year they won a prestigious Design Innovation Award for their pendant watch, the Stella, and then collaborated with Morgan Motor Company to create a series of bespoke trench watch-inspired pieces for owners. Craig is a trained watchmaker and restorer, while his wife Rebecca (who is also a watchmaker) has designed jewellery and is currently a Doctoral Researcher of Antiquarian Horology studying Dutch forgeries. 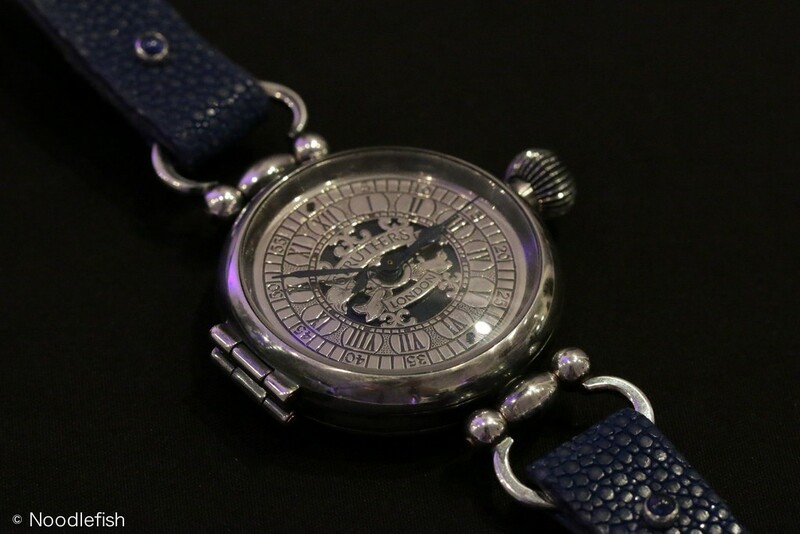 Last year Struthers London unveiled their new Regency design, at SalonQP. Inspired by the watches of the eighteenth century, the case incorporates the hinged lugs from the Morgan watches and has been handmade from solid silver. Inside is a hybrid movement, assembled from at least five vintage Omega calibres, which have been salvaged from the bullion industry and would otherwise have been consigned to the scrapheap. 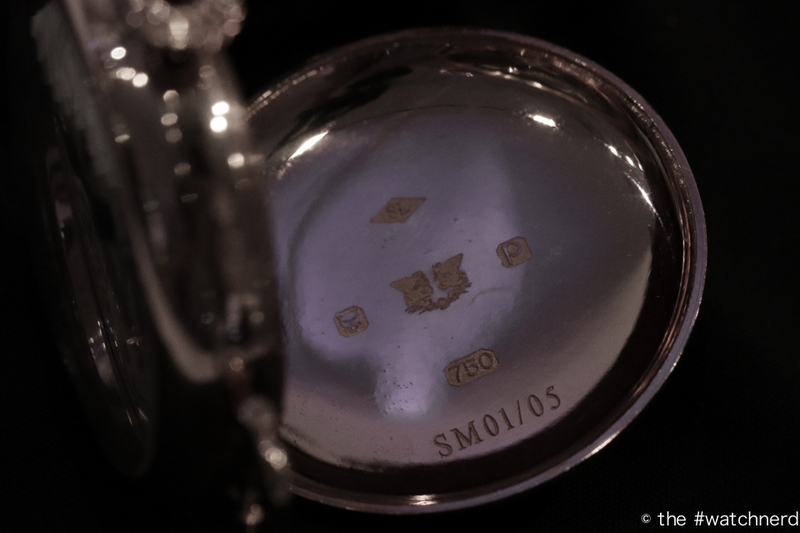 The dial, a single piece of engraved silver in the champlevé style, is unusual but visually arresting. I looked up this form of dial decoration in Clutton and Daniels’ Watches (2nd Ed, 1967)** in which it is described as “the commonest and earliest form of enamelling found in watches. It consists of cutting cells out of the metal and filling them with enamel.” In the Struthers watch, enamel has been replaced with blued steel and a black dial wax. Traditionally (Rebecca tells me), champlevé refers to “an engraved dial in precious metal and doesn’t necessarily have to involve any hard enamel.” In the case of the Regency, the dial is affixed not via feet, but with two blued steel screws directly into the mainplate, similar to those found on the dial of some chronometers. You can see the screws at 12 and 6 in the photo below. Clearer pictures can be found here, on the Struthers London website. Obviously, attaching the dial in this manner requires a flat movement plate, and hence the Omega 30T2SC movement was chosen as a base. This family of movements was produced for a number of years (Ranfft quotes 300,000 between 1939 and 1963), and while the 30T2 has fixed jewel settings on the balance, the Struthers were able to use the antichoc from the 260/280 series (for example) to update it for the stresses of modern life. Many of these movements require significant restoration, having been ethically salvaged from the bullion industry. Giving them a new life means a lot to us, and we hope one day there will be watchmakers out there who treat our work with the same respect. I’ve been trying to find out how many mechanical watches are lost to the bullion / smelting market each year, but it’s almost impossible. A quick search of eBay, Etsy and the like will throw up many cheap (and sometimes cheerful) cufflinks, tie pins and other “steampunk” items. I use the term loosely, as I really don’t believe that these things have any more than a very loose connection to steampunk***. Ripping the still-beating heart out of a case and slapping it on a mass-produced cufflink back is not steampunk; it’s watchicide. If the movement was already dead (and too far gone to fix) then it’s mechanical taxidermy. At best. But I digress. The case design is probably more recognisable to pocket watch collectors than to modern wristwatch enthusiasts. Made from sterling silver, with beautifully hinged lugs and a large crown, it borrows heavily from processes more often associated with silversmithing/ jewellery-making than watchmaking****. This is, perhaps, unsurprising given their backgrounds and, indeed, their chosen location: Birmingham’s Jewellery Quarter. Bizarrely, it’s not the watch face but the back that impressed me: a set of hand-made, perfectly stiff hinges allow the case to be pulled apart to expose the mechanism, nestled beneath sapphire glass. As a youngster, I inherited a slim silver cigarette case belonging to my late grandfather. Even though I was far too young to smoke, I remember taking it out of the drawer in which it lived, unwrapping it from its tissue paper, and opening the case, marvelling at what might have been inside. The Regency recalls the same sense of expectancy: a slight tightness as it opens, and comforting soft snap as it closes. The Regency really is a labour of love – a bespoke creation for each client that can be tailored to their requirements. The first Regency was shown on a long, blue double-length of shagreen. Their strapmaker is in Shrewsbury (Christopher Clarke), while the dial printing and plating is carried out in London (hence perhaps, Struthers London). 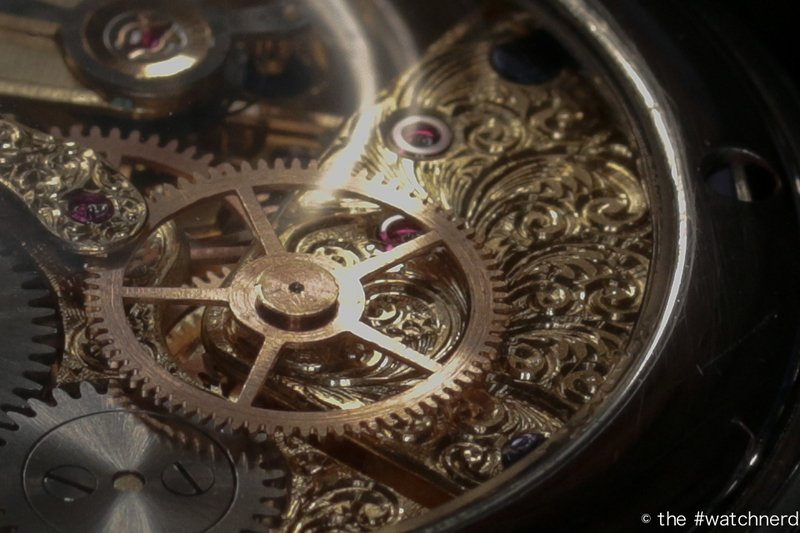 The list of tasks that are performed by the Struthers themselves is daunting: all watchmaking and movement modification, design work, case finishing (including joint-making) and dial making activities are undertaken in-house. They’re even in the process of designing and producing their first, 100% British movement. I wasn’t sure what to make of the Regency when I first saw the photos, but from the moment I picked it up at SalonQP I was transfixed, and the more that I’ve heard about the watch, the design process, their foxy assay mark, Rebecca’s PhD, and the hidden collection of watches in the British Museum, the more I want to know. Perhaps, as is so often the case, it’s as much about the makers as the item itself. ** If you do have a copy of Watches, you’ll see that similar dials were used from the late seventeenth century into the eighteenth, for example the heavily engraved dial of the Peter Garon watch from 1695 (210-11) or Francisco Papillon’s interesting later Italian-cased piece (215-16), as well as quite stunning timepieces from Daniel Quare, Knibb and Tompion & Banger. Alternatively, the British Museum has some stunning examples. *** I’ll write more about steampunk over the coming months – there may even be something of interest in the pipeline. **** For some real horology / jewellery crossover action, try Harris Horology‘s newly announced sterling silver swiss lever pallet pins, handmade in England.